Frustrated by pop-ups? Forms that make you start over if you miss a field? Nonsensical error messages? You're not alone! This book helps you simply get it right the first time (or fix what's broken). Boasting a full-color interior packed with design and layout examples, this book teaches you how to understand a user's needs, divulges techniques for exceeding a user's expectations, and provides a host of hard won advice for improving the overall quality of a user's experience. 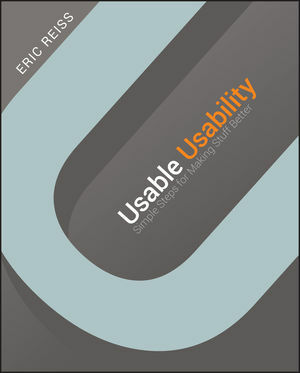 World-renowned UX guru Eric Reiss shares his knowledge from decades of experience making products useable for everyone...all in an engaging, easy-to-apply manner. Usable Usability walks you through numerous techniques that will help ensure happy customers and successful products!